This month we review a selection of movies from Empire’s 100 Greatest Movies list. Today is Number 70: The Lion King. From the moment that The Lion King starts, with an African-inspired song and the animals all responding to the call, you realise you are in for something special. Then The Circle of Life begins and you can’t help but get goosebumps as the different species all head towards Pride Rock. The momentous moment that Rafiki the monkey lifts Simba the lion cub above his head and everyone bows then brings the titles and you feel like you’re about to watch an epic tale. Which of course you are. The story of The Lion King is a great one. It touches upon themes of responsibility, family, betrayal and redemption and does so with clear-cut characters and iconic moments. The Lion King does well to build your expectation of individual characters so that moments in the film mean so much more. The first few scenes which paint Mufasa as the heroic but noble King to the reckless and immature Simba do enough that a later scene involving a stampede really hits home and has the required impact Disney were hoping for. These characters extend to the villain too. In the great pantheon of amazing Disney villains, Scar will be regarded highly. He is conniving, manipulative and murderous. He is one of the darker villains and although he has his comedy moments (and some brilliantly written sarcasm) you want to see him fail, even when the odds seem stacked against our hero. The final piece of the story puzzle always involves the comic relief. Each character gets their moment in The Lion King but it is Timon and Pumbaa who get the best lines and funniest moments. 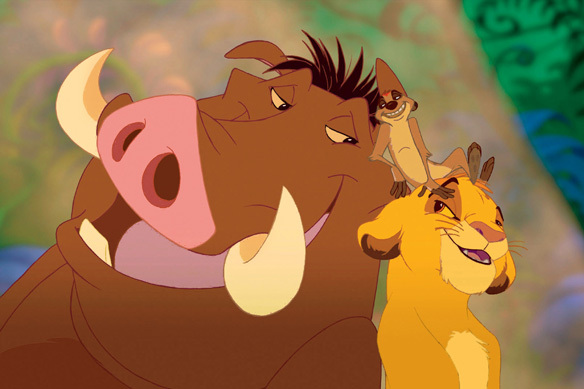 They have one of the most memorable songs in the film with Hakuna Matata and also introduce themselves when the film feels like it is at it’s darkest, adding the much needed light relief. All these characters work because they are so well-voiced. James Earl Jones add the required gravitas to Mufasa while Jeremy Irons is perfectly sneering as Scar. Jonathan Taylor Thomas brings the young Simba to life but Matthew Broderick ably takes over as the older counterpart. With additional support from the likes of Whoopi Goldberg, Nathan Lane and Rowan Atkinson, you are never too far away from a perfectly cast character. The songs play their part too. 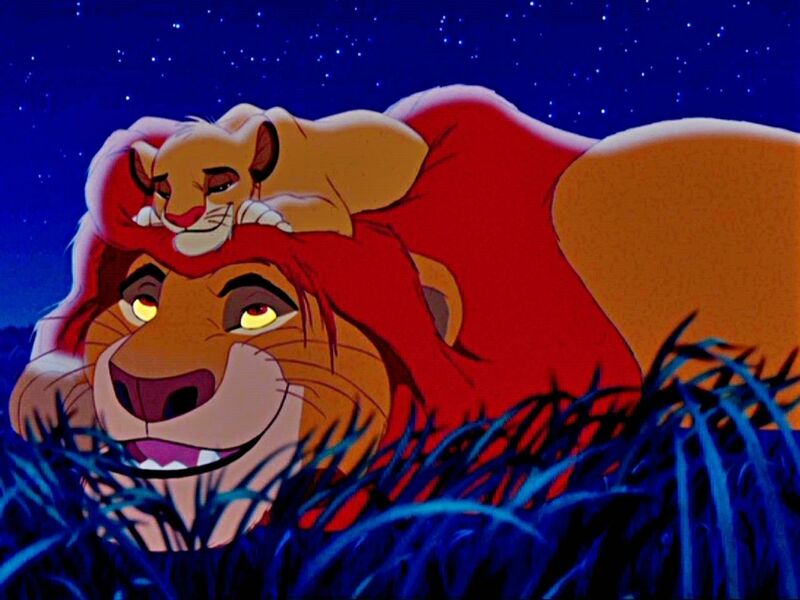 Hakuna Matata and Circle of Life have their role but as with all great Disney movies, the songs help develop the story as much as anything else, with Be Prepared showcasing the plan and evil deeds of Scar while Can You Feel the Love Tonight helps highlight a blossoming love between Simba and Nala. Each song holds their own and there are no duds in the whole movie. All of this leads so well to a great finale for the movie. The best Disney movies have a grand spectacle to end proceedings and The Lion King is no different. The fire and shadow that help stage the battles of the climax make for iconic moments that match the more famous moments that have preceded it. Overall, The Lion King is as perfect a Disney movie as you’ll get. The story is compelling without being silly, the characters well-developed and the songs are catchy and memorable. What is even better is that it still stands the test of time. I watched this all the time growing up. It was up there with Aladdin and Toy Story as one of my favorites to pop into the VCR. I would consider Scar to be one of the best Disney villains because he actually wins! Albeit short lived, he does become king of the Pride Lands for a little while. Not many villains can claim to have successfully accomplished their evil plans. And I will never get tired of that final fight on Pride Rock. Great review, Ben! Thanks. I never thought of it that way… that Scar actually succeeds. Its for a long time really.. long enough for Simba to have to grow-up. Circle of Life is fantastic, but otherwise I could do without the songs.